A smart and sporty 4-door hatchback, the 2018 Hyundai Ioniq gives environmentally conscious shoppers a choice among three affordable models; a hybrid, a plug-in hybrid and a pure electric vehicle. It takes on the popular Toyota Prius, as well as the Chevy Bolt, Chevy Volt, Ford C-Max and the similar Kia Niro in the growing market for electrified fuel-efficient small cars that offer real-world practicality. I love my Hyundai hybrid car. So far no problems, great mileage, love it. Several long trip, 1000 miles plus, and it has preformed great. Mileage is as advertised. Drove from Florida to Ohio on $20. 00 Of gas. Heated seats are great to soothe an aching back. Android auto app is a great navigation aid. It feels safe and comfortable. I like how spacious it feels on the inside but it is still a compact car. That is has the option to drive solely on battery. And that it has android auto. I do not like the lack of power it has when it first moves, and sometimes it jerks forward after i stopped. It is a hybrid and is intended to be a fuel economy focused car. 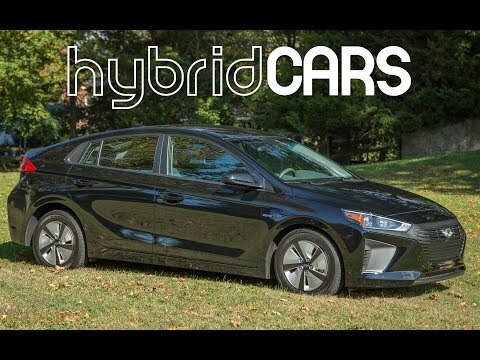 I have a 2018 Hyundai Ioniq which is a hybrid car. I usually get around 55 MPH and it has saved me a ton of money for my commute. The only drawback to a hybrid and this vehicle is the shortage of horsepower due to the electric engine.